MAKE YOUR VOICE HEARD. SAY NEVER AGAIN. Psychologists James Mitchell and John “Bruce” Jessen, architects of the CIA’s torture program. 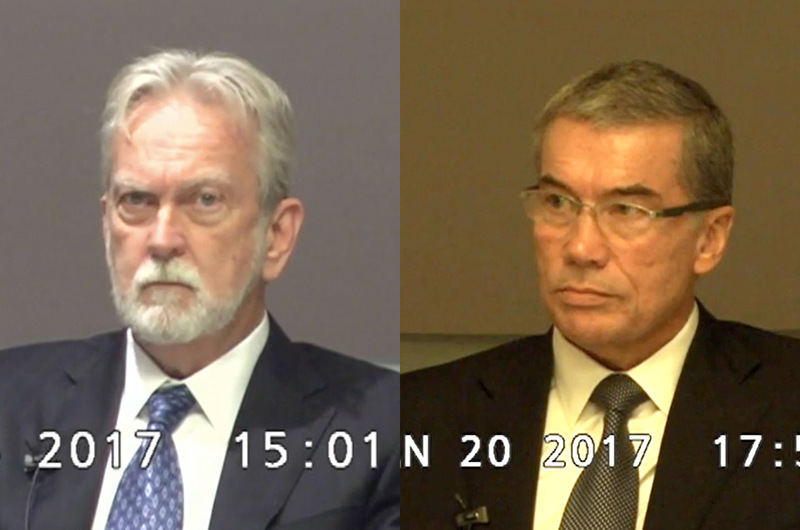 A lawsuit against the two architects of the CIA’s torture program was settled on August 17, 2017. Psychologists James Mitchell and John “Bruce” Jessen had been facing trial for devising the torture program that was used by the CIA in black sites in secret international locations after the 9/11 terrorist attacks. This is a historic victory for victims and survivors of torture. This was thus far the only opportunity for accountability for the U.S. for its use of torture in the 2000s. The ACLU filed on behalf of two victims of torture, Mohamed Ahmed Ben Soud and Suleiman Abdullah Salim, and on behalf of the family of Gul Rahman, who died in a CIA prison cell. We must continue to expose the truth about torture so the American people know about this dark chapter in our nation’s history and to drive home for the American people the appalling reality of our government’s shameful embrace of torture. Please join CVT today in rejecting torture absolutely and saying: NEVER AGAIN.